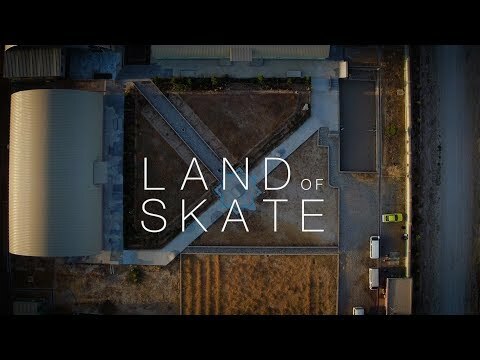 Skateistan has recently released Land of Skate, a 13-minute documentary produced by Ghost Digital Cinema and directed by renowned filmmaker Ty Evans. The film explores how skateboarding has emerged as an unlikely tool to change society. Filmed on location in Afghanistan, Cambodia and South Africa, it captures breathtaking shots and an often unseen perspective of these countries. The documentary goes behind the doors of Skateistan’s Skate Schools worldwide for the first time and delves deeper into the inspiring stories of Latifa, Ahmed, Soso and Srey Pich who, despite living in difficult circumstances, have found a path to empowerment through skateboarding and education. Alongside the documentary, Skateistan has launched a fundraising campaign with the aim of raising $100,000 and growing their global community by December 31st. They intend to empower more girls, create safe spaces in new locations, and change the lives of even more children around the world in 2018. Please watch Land of Skate above, and share and support their campaign today at skateistan.org.